Makes Ohm's Law simple! 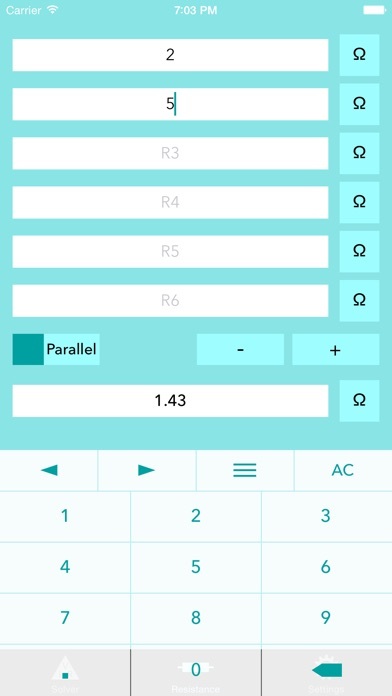 Ohmulator is a simple, yet robust, electric circuit calculator that enables you to quickly and easily find the unknown variables of a circuit. Ohmulator allows you to easily adjust unit types on the fly (eg. milli Amps, Amps, kilo Amps), which means no prior conversion! 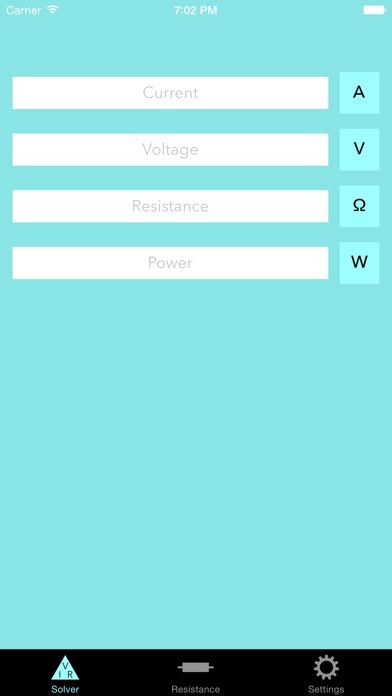 Enter two known variables (from: I = Current, R = Resistance, V = Voltage, P = Power), set preferred units, then Ohmulator will calculate and return the previously unknown values. 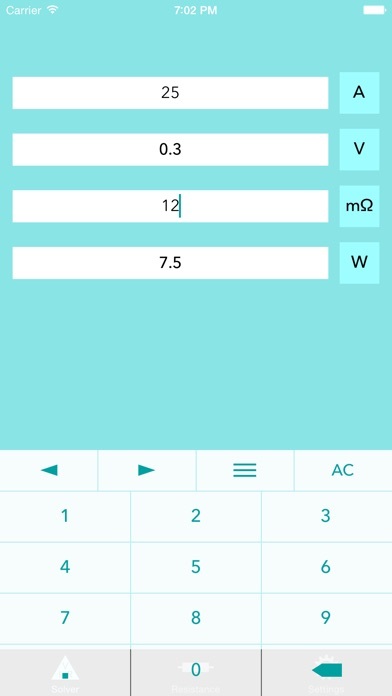 Also an Effective (total) Resistance calculator. What two App Store reviewers had to say about Ohmulator: "Great. Does what it says. Very good app. Stylish design." 5 Stars - Jamie1990jamie "Awesome app. It simply works. A must have for the radioamateur or electronic nerd. Nice to have the watt law as well." 5 Stars - Per67 Also available for OS X on the Mac App Store. Follow @ArmchairEng on Twitter to keep up to date with news and developments. Could use way more algorithms though. Ohmulator does everything I need it to. I mostly use it for calculating power and current on my coil builds. Helps me ensure my mod doesn't turn into a pipe bomb! Was a five star app, new update painful to look at and less functional. Will look for a replacement. Would pay for a legacy version liked to old one so much. Thank you for the update. Very nice. Very clean, very simple, does what its suppose to do. Does exactly what it needs to do! I sometimes get backward on my formulae, so this helps me keep it straight. Thanks!